Can someone help me troubleshoot this problem? My 5sgte is not turning over when trying to start the car. I can hear it cranking but not turning over. I have done the ignition test and got good spark. Also this car was running great yesterday. I have attached both log file and base map. What do you mean by "not turning over"? Is the crankshaft turning or not? The jumpy MAP value and low-ish voltage suggest it is cranking, although the description isnt very clear on this. It looks like you have no trigger reading happening at all. Can you grab a trigger scope while cranking it? If it worked yesterday, there is a chance that one of your trigger sensors has had the plug wiggle off or rub through a wire. Obviously there will be no trigger signal if the engine is "not turning over" like you originally stated. So are you saying now that the engine does turn over, just there is no trigger/RPM? What did you change between the engine running and not running? It looks like the map that you attached above was last saved when the engine was running as it shows a yes on both trigger signals and it also shows some odd stuff like battery voltage was 16.5V. I think you need to confirm there is continuity from the sensors back to the ECU and ground. Can you also give us a copy of the actual map that is in the ecu now. Yes the engine turn over and no trigger/RPM. See attached current map that's in the ecu. This is the same map used when the trigger scope was taken previously. Let me know if you need more information. I tested the wires with multimeter for continuity and checked out good. Thanks for the advice. I did a bit more digging and found the piston number two is toast. 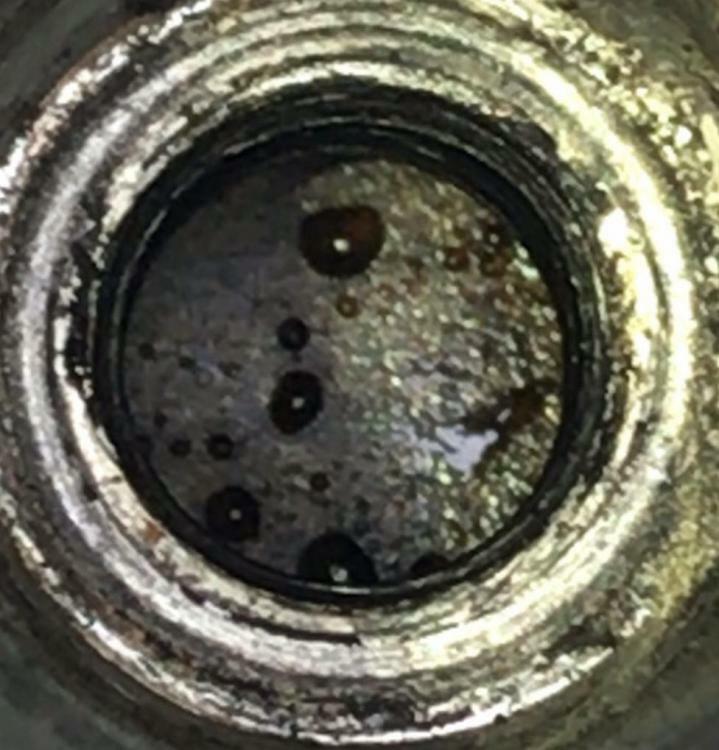 I notice it when I removed the spark plug. See image. Can you look into the base map and check if there’s anything that would have cause it. Or a way to prevent it from happening in the future?